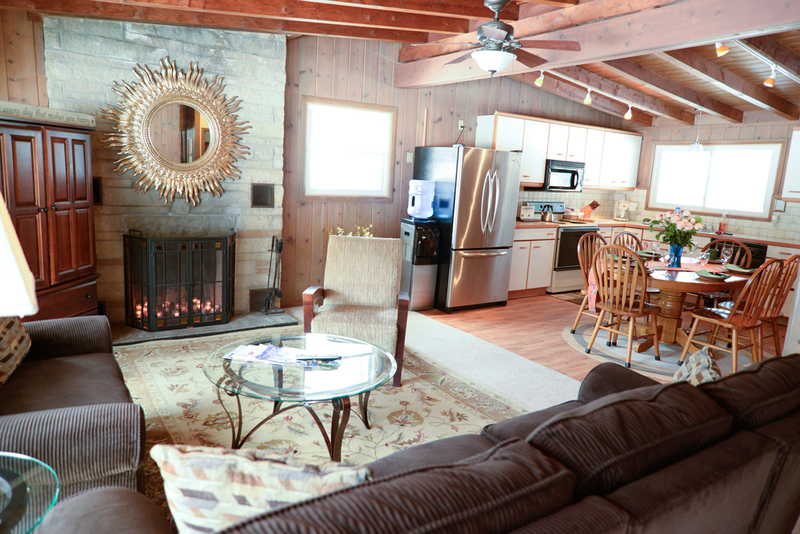 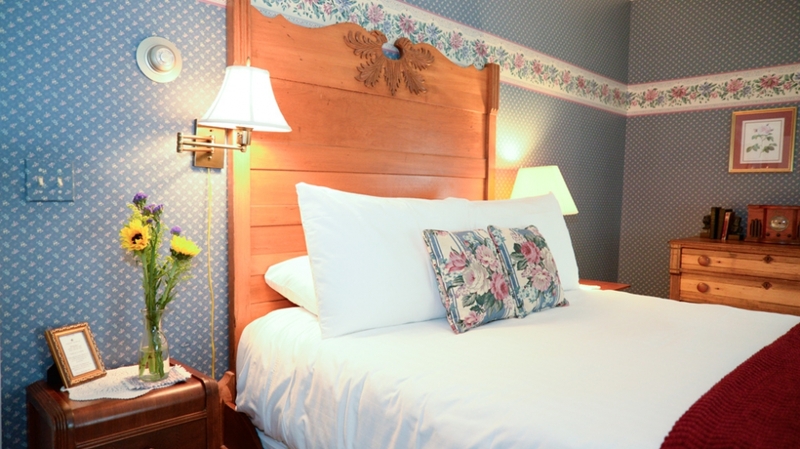 Our largest guest suite will have you enjoying the breeze blowing up from Lake Kalamazoo in the summer or toasting your toes by the fireplace in the winter. 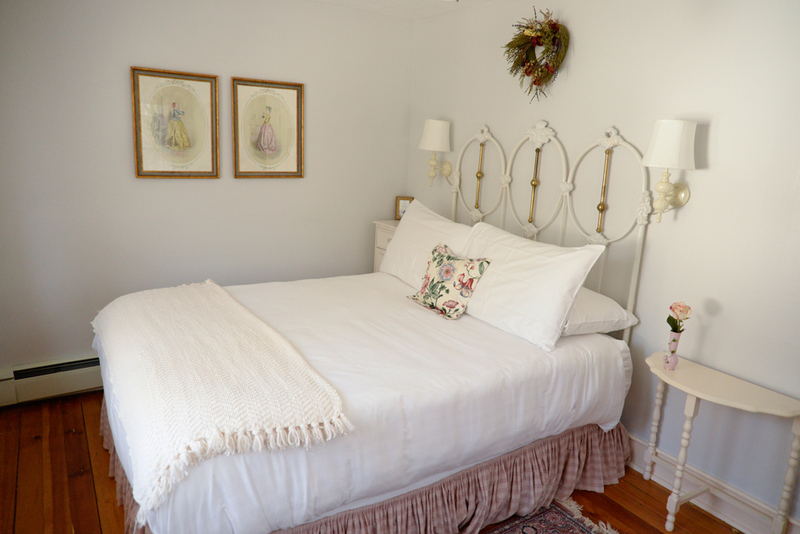 The queen sized antique sleigh bed has been made up with crisp luxury linens. 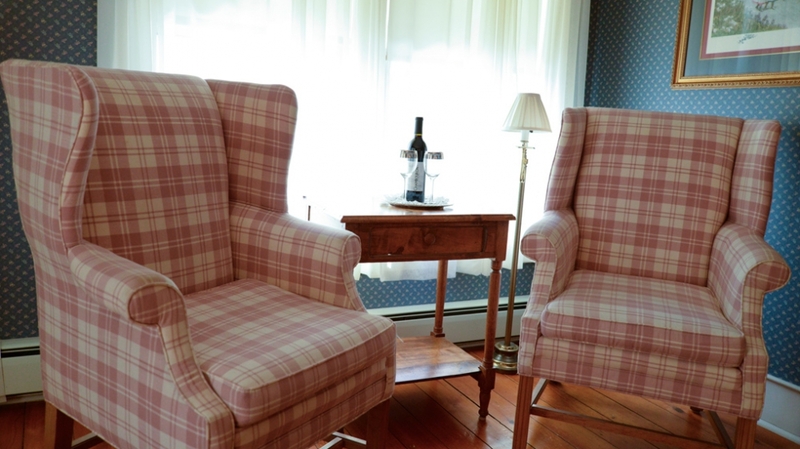 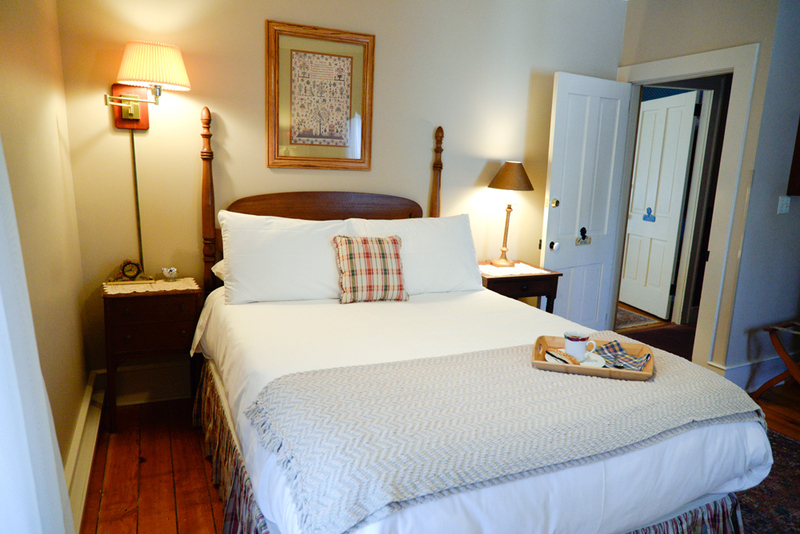 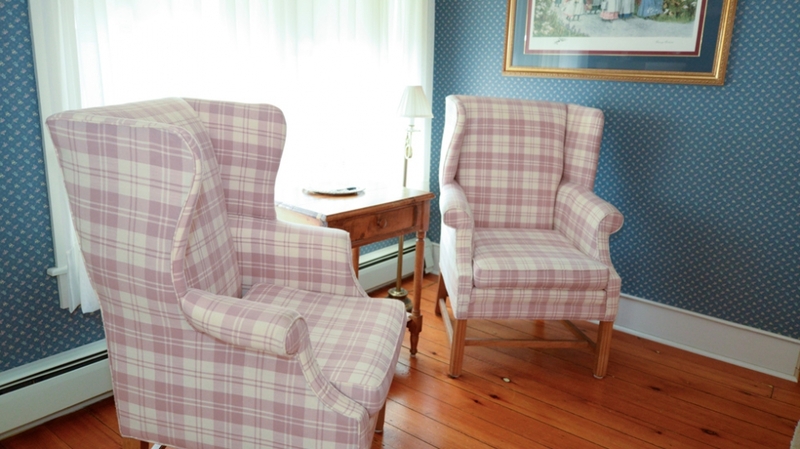 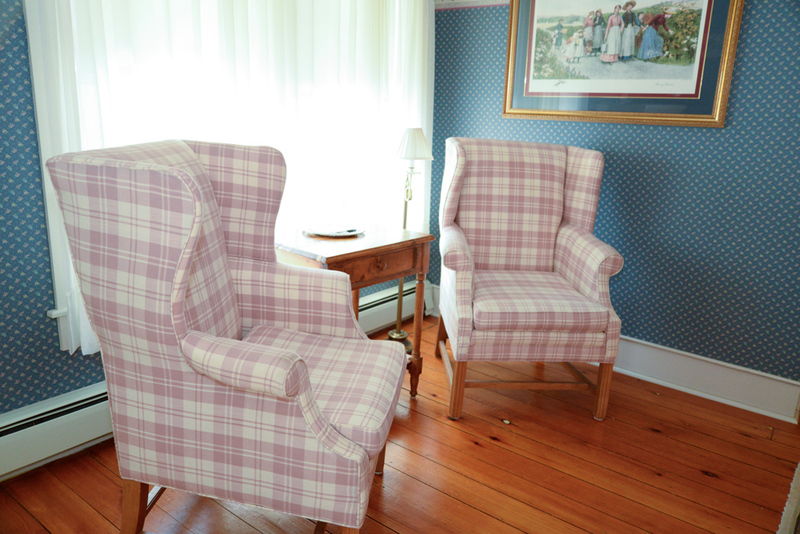 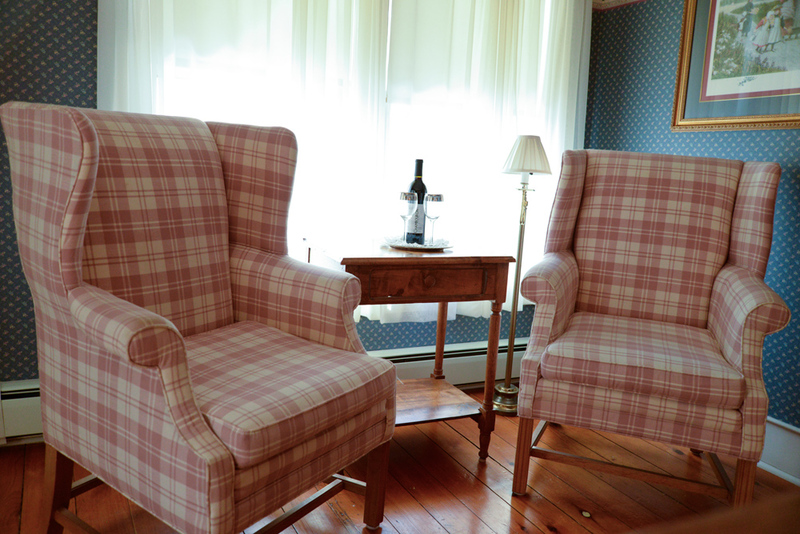 Enjoy a good book from the comfort of one of the wing back chairs or surf the web on our complimentary wifi. 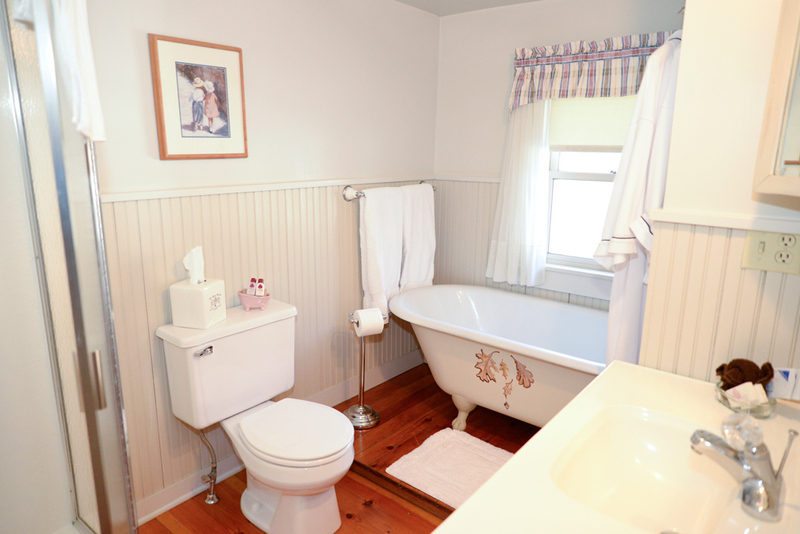 The bathroom is private and roomy. 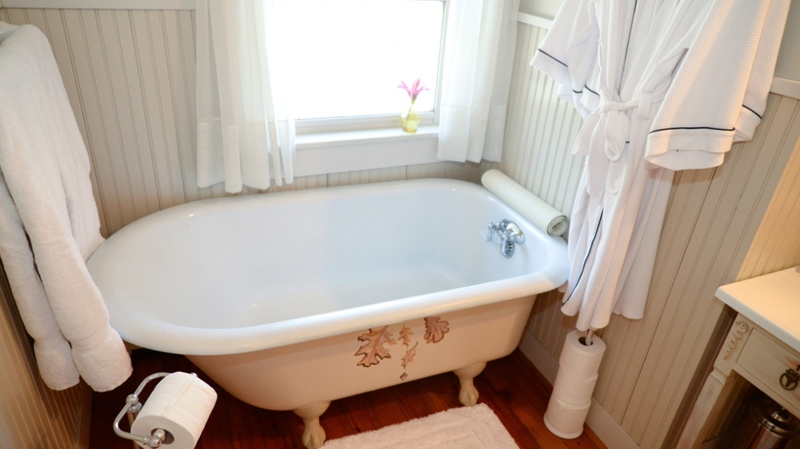 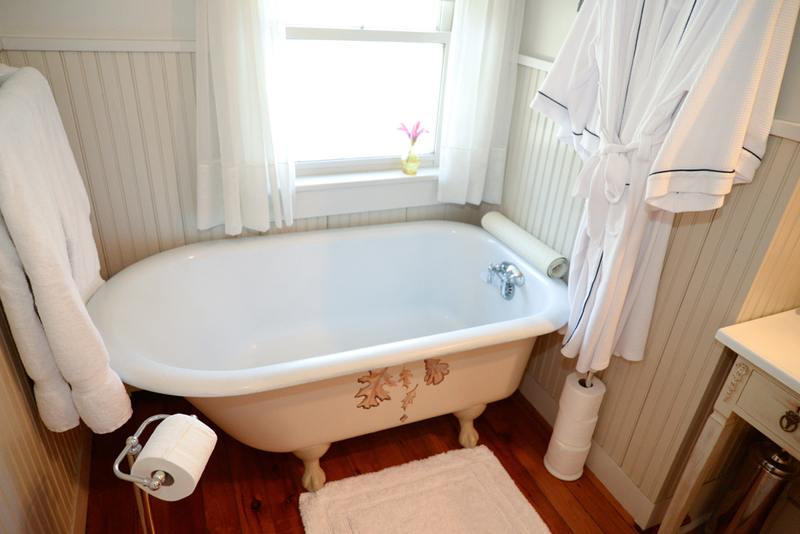 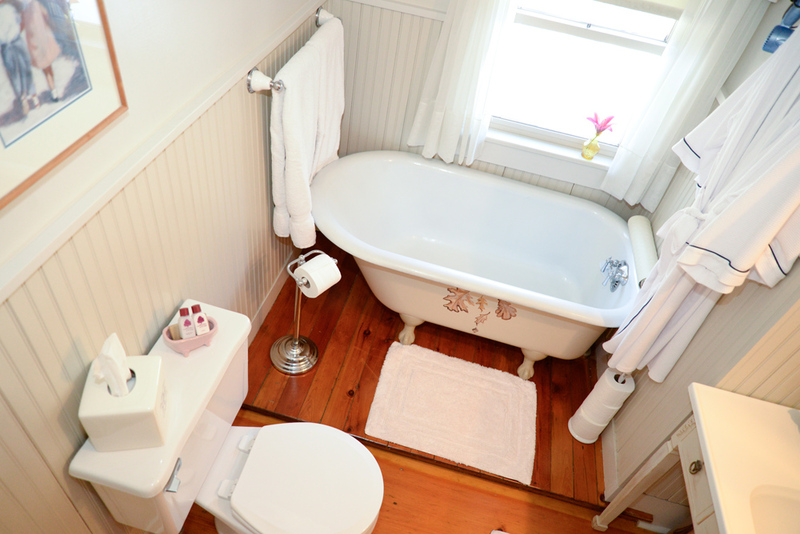 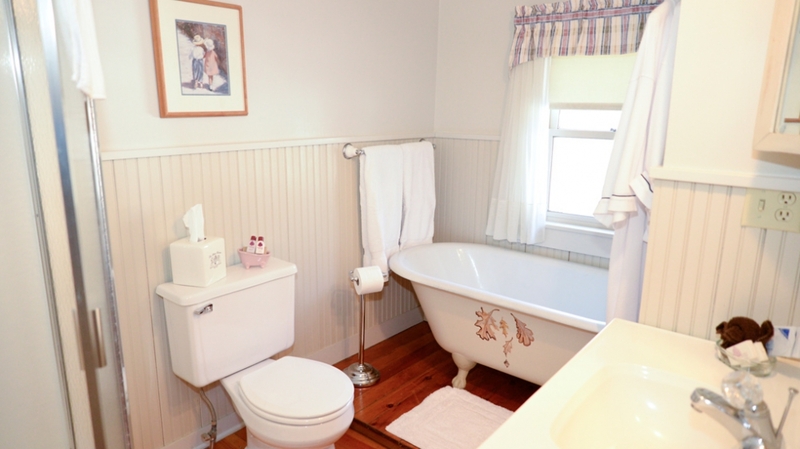 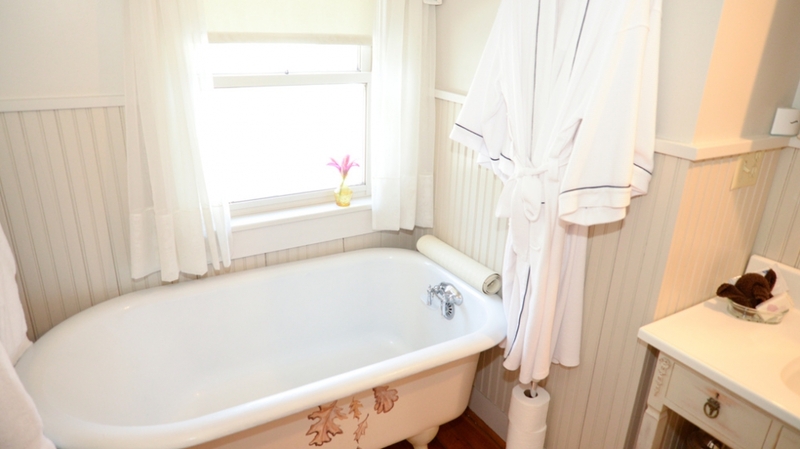 Sink back in time in our antique claw foot tub. 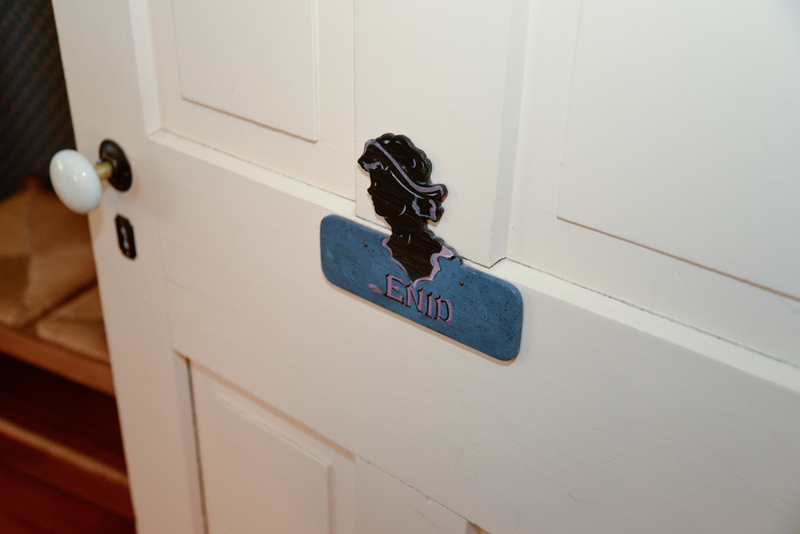 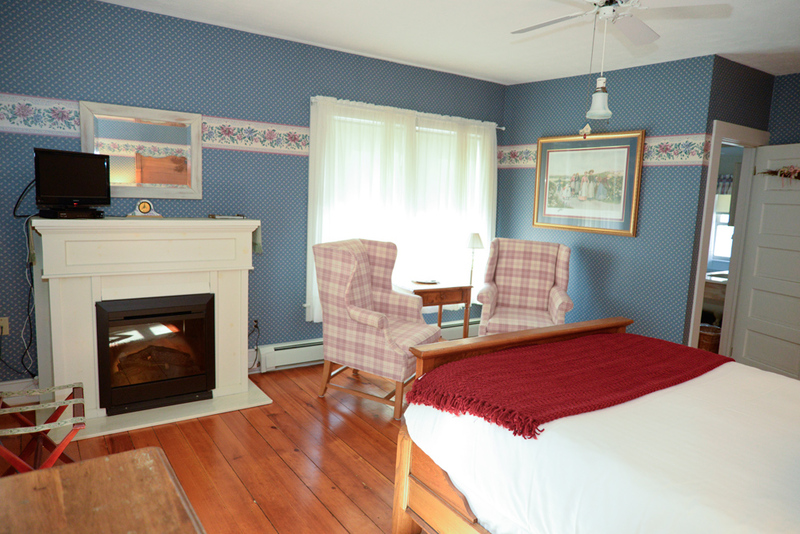 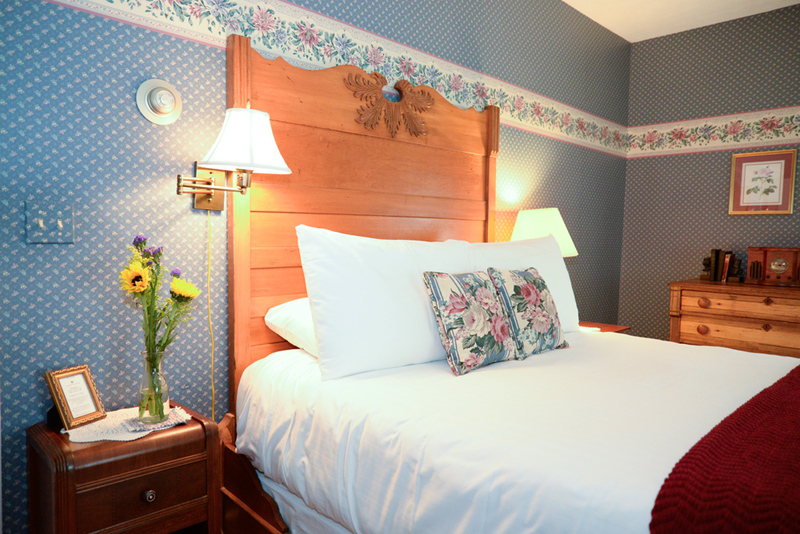 Enid’s Room is large enough to offer private couples massages. 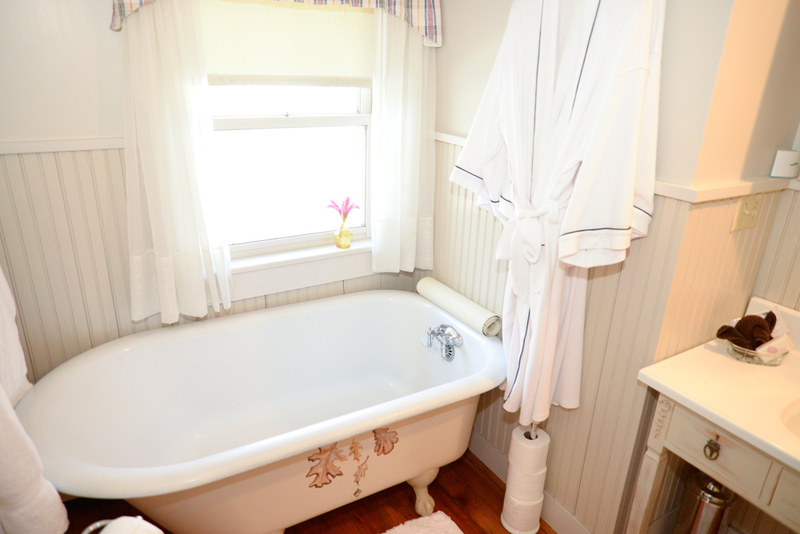 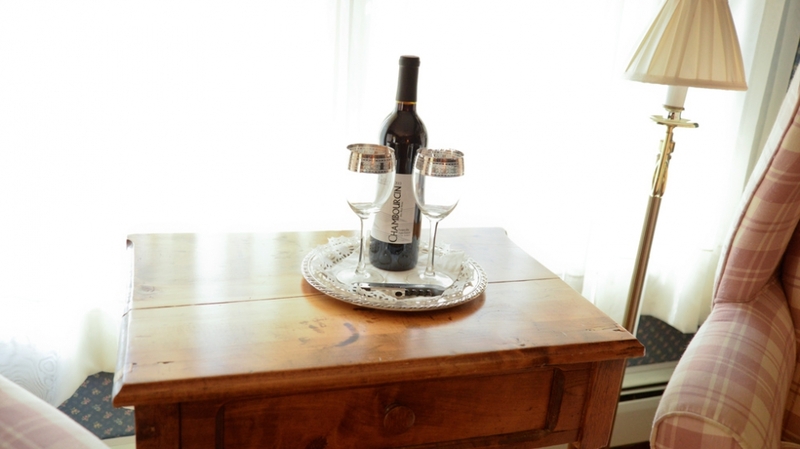 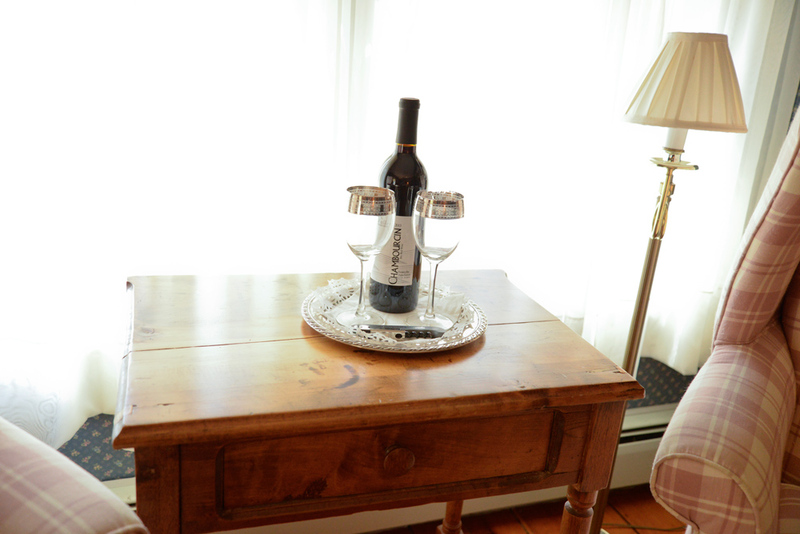 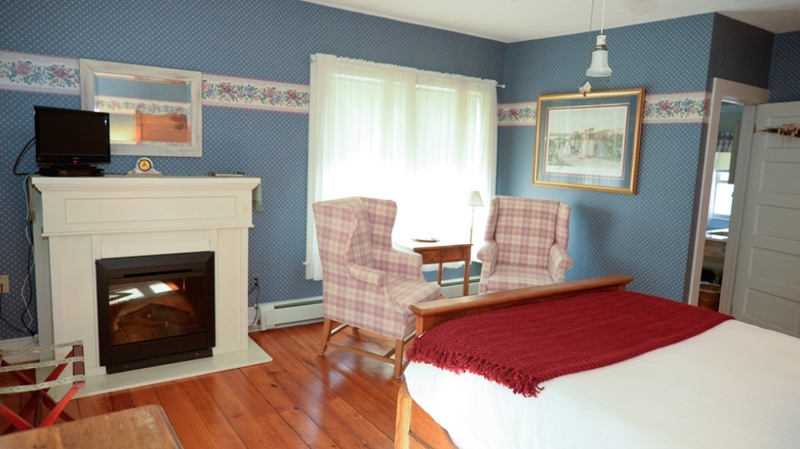 Speak with the innkeeper to arrange a day of pampering. 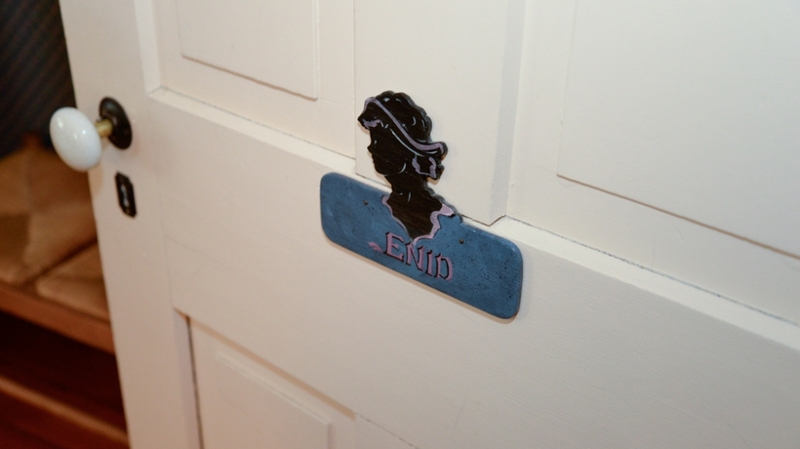 Named for the youngest daughter of the Sutton family, Enid Bancroft was born in 1891.